The Mestek Commercial Damper and Louver Group (MCDLG) is a group of top-tier HVAC brands including Arrow United Industries, Air Balance, Cesco Products, and Louvers & Dampers. 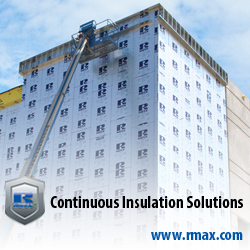 Together, we provide industry-leading air control and ventilation products for the HVAC and construction industries. Our team will ensure that you get the best solutions for your requirements. MCDLG supports continued education in the HVAC industry. We want you to develop the tools to make informed decisions. That’s why we put our 50 years of experience to work, developing CE courses with AEC Daily. Browse our CE courses on this page to get started. These resources are free to use and offer registered credits from a wide range of institutions, including the American Institute for Architects (AIA). Trust Mestek Commercial Damper and Louver Group. We are here to help. Visit our website and like us on Facebook for more information.